Within the Chalice is a picture of Mt Shasta. ​The picture of Mt Shasta is repeated again in the outline of the heart. 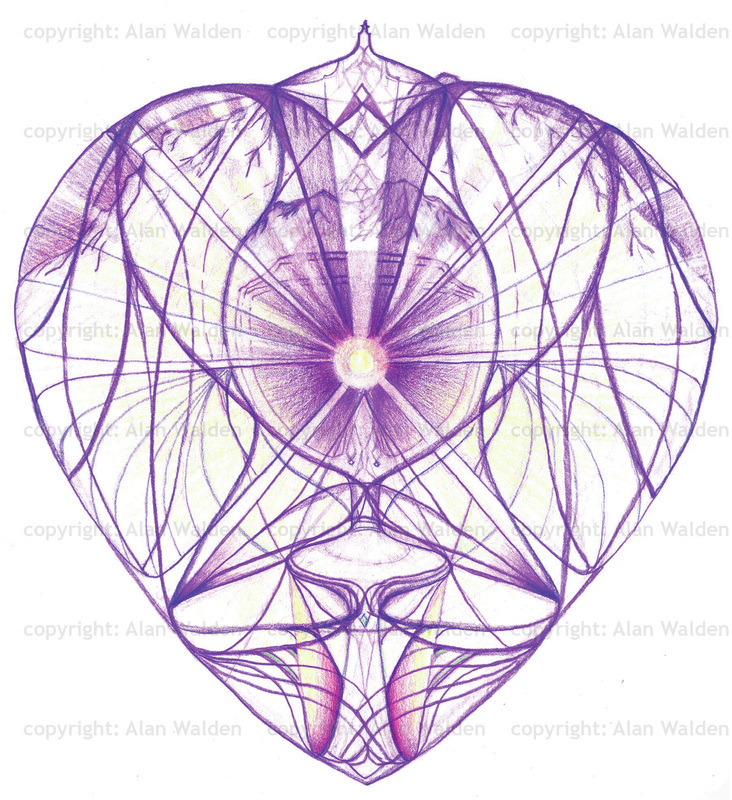 In the lower part of the heart is an image of the spacecraft. On the left and right of the spacecraft you will see two eyes which represent higher intelligence for which we are evolving into our future self.